Flourishing in my Herb Garden, and also along the east border of my Kitchen Garden, is N. ‘Fragrant Cloud.’ This one begins to flower in late June; by July its candelabras soar to 4 feet, their foliage invisible against the white, heavily perfumed blossoms which glow in the darkness. In August, N. sylvestris steals the show when its 6-7 foot-tall spires reach for the heavens. The scent is heavenly, too, and reminiscent of the auratum lily. It thrives for me along a path in the Serpentine Garden. Nicotiana needs to be sown only once. Volunteers come up forever after, and usually in places you do not want them, like the cracks in walkways. But in spring it’s no trouble to move these seedlings to suitable positions, such as under windows. 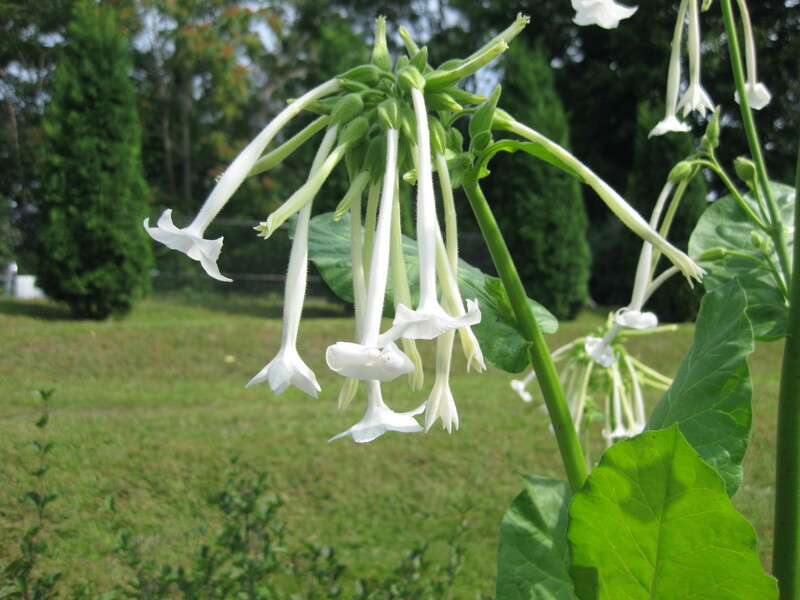 Did you know that flowering tobacco is splendid for cutting? Snip a few stems at night, and set them in your vase. If kept out of the sun’s range, blooms will remain open all day. Although their fragrance will disappear from dawn to dusk, it most definitely returns — even indoors — around 8:00 PM. I know this to be true, because I presently have a vase of ‘Fragrant Cloud’ on my bedside table. Are you addicted to this easy, drought-tolerant, pest-free annual, too? 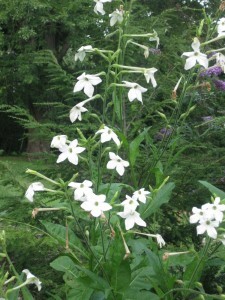 Kevin, I planted white nicotiana (can't remember the variety) this year, too. Good to know it reseeds so easily. The plant is BRILLIANT at night. I should have planted it closer to the house, though. I have sylvetris all over the place! Boy, does it reseed! But something is putting holes in the leaves. Any idea what insect this might be??? 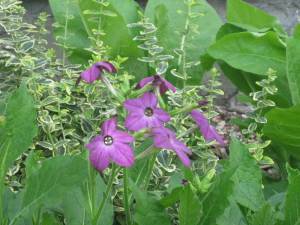 Janis – slugs are probably eating holes in your nicotiana leaves. Granular garden lime, sprinkled on the soil around the plants, will put an end to their slimy destruction. 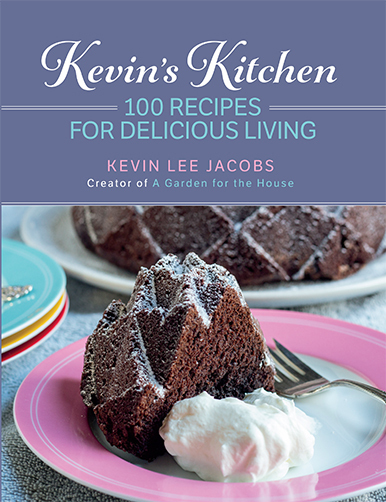 Kevin, which is more fragrant? 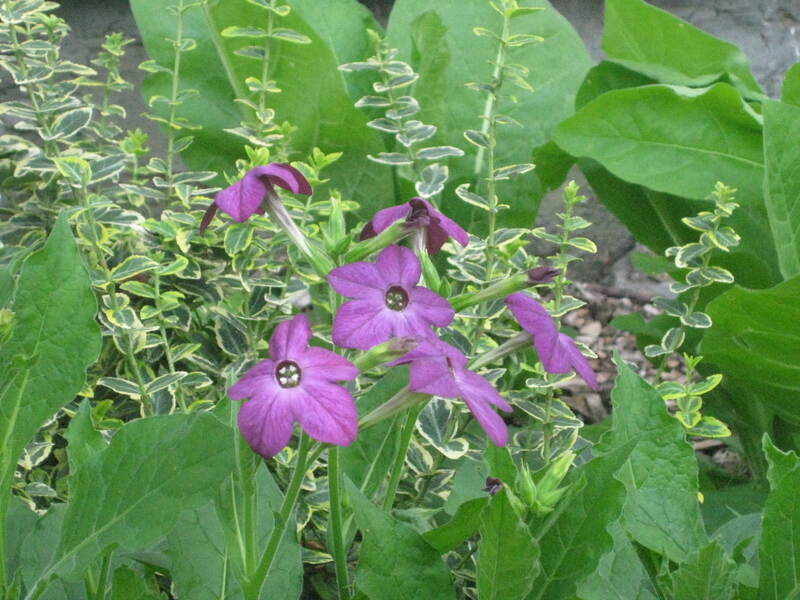 The white or the purple nicotiana? Or is there any difference? Adele – the white varieties are definitely more strongly-scented than the pinks and reds. Nicotianas don’t seem to be widely grown here in Australia. Last year I grew N. alata (which to me smells like tuberose) and N. x sanderae (with a fragrance of oriental lilies). Despite having a number of N. sanderae growing close together and flowering at the same time, they didn’t set seed. Fortunately, the root cuttings that I took some months back have started to sprout. 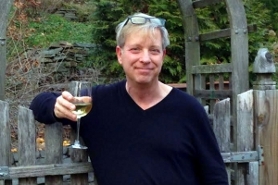 Do you have any advice about encouraging seed formation (there were no problems in this regard with N. alata). I would like to make these plants more widely known among my friends and family.